I was born in 1949 and raised in the “Bollenstreek”; the region where the tulips are grown. 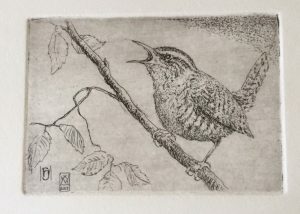 Drawing had been my lifelong hobby, but after my first etching-lessons in 1977 it became my passion. 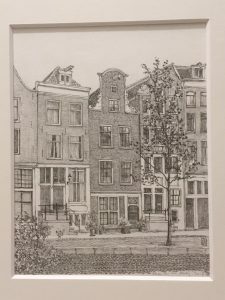 I followed evening-courses at the Royal Academy in The Hague. In january 1986 I quit my job and started my career as a full-time artist. 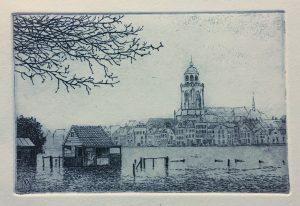 Since 1988 I live and work in a house at the old town of Zutphen on the IJssel river.Read more about me..
From March through December I show my work at the Sunday art market on the Spui at Amsterdam. I am there most Sundays, send me an email for more details. 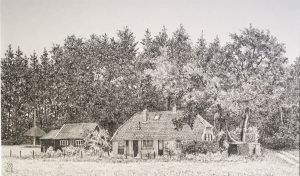 In the beginning of 2009 a book was published by DeDoc Uitgevers of my Zutphen etchings. Have a look here. 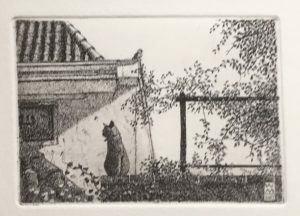 You are welcome to visit my studio at Zutphen, but please do make an appointment.